My name is Boots and I am an airport cat. I was a stray, until I found these nice folks here at Barnstormer’s Workshop. I get free room and board in return for providing airport security. The guys here at Barnstormer’s decided that I was getting a little too fat and lazy, so they have given me another job—Barnstormer’s Blogger. YIPEE!!! Not a bad gig, but it is difficult to type when all you have are paws. I tend to make a lot of errors, so please be patient. This is the first of what will be a monthly update to let you know what we are working on here at Barnstormer’s as well as some human interest stories. Yes, I know, I’ve really got you curious now. That’s what a good writer does. The guys have been real busy working on a Fairchild 24W. By the way, if anyone knows where we can find a carburator air box for a 165 Warner engine, please let us know. The Fairchild is owned by Thomas Griffing, who lives in Ohio. 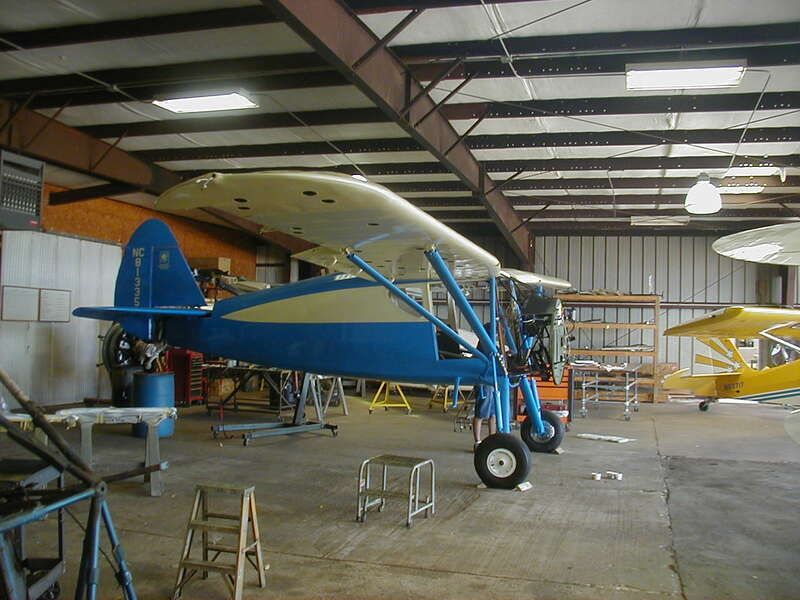 Also in progress is Harry Ballance’s Stinson SR5 restoration, a BC12D Taylorcraft repair as well as a BC12 Taylorcraft restoration. Well, that’s all for now. My bed awaits for my afternoon siesta. I’ll be updating you again in a few short weeks.